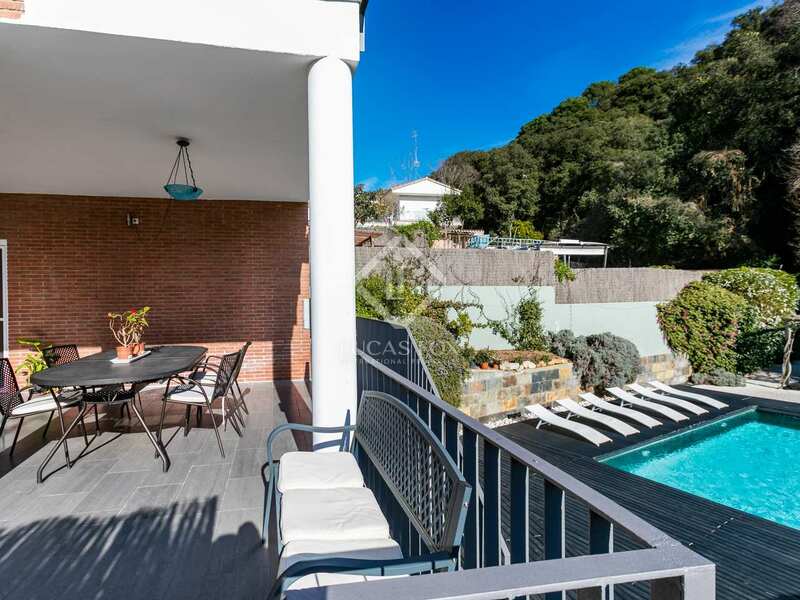 A well-maintained 240 m² house on a 580 m² plot in a peaceful residential area just 8 minutes' drive from the beach at Caldes d'Estrac. 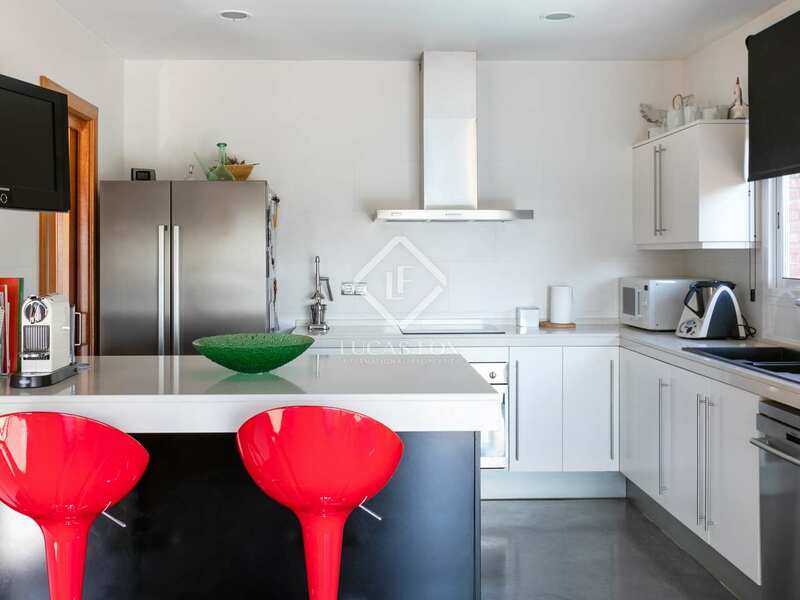 This well-appointed semi-detached house was built in 2006 and has been updated by the current owners. The house is distributed over 3 floors and is filled with natural light. 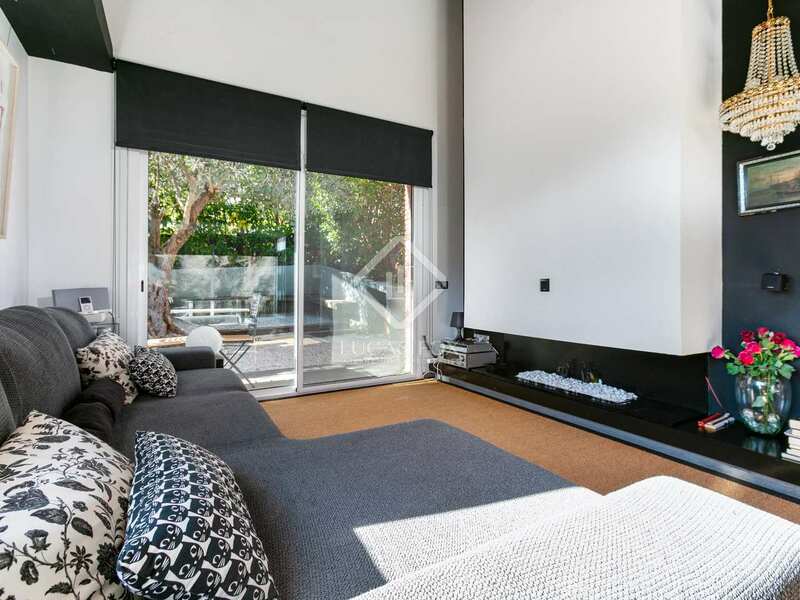 On the main level, the front door opens on to an open-plan living, dining and kitchen area featuring a contemporary gas fireplace. 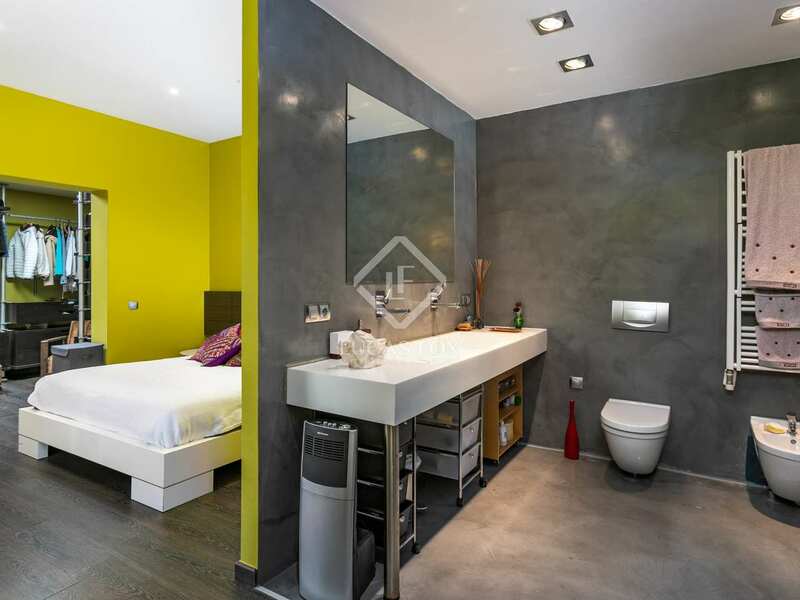 Also on this level is a double bedroom, a guest toilet and garage parking for 1 car. 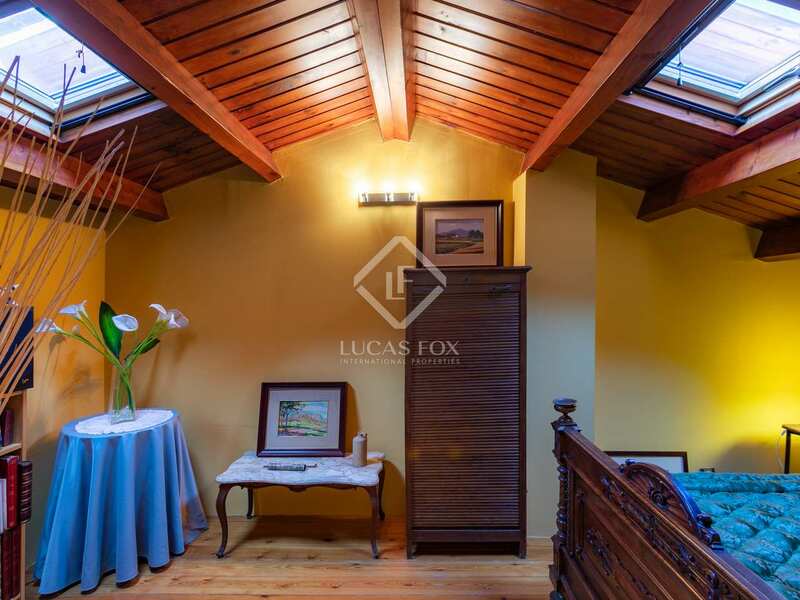 On the lower ground floor there is the master bedroom suite with doors out to a covered dining area and the back garden. 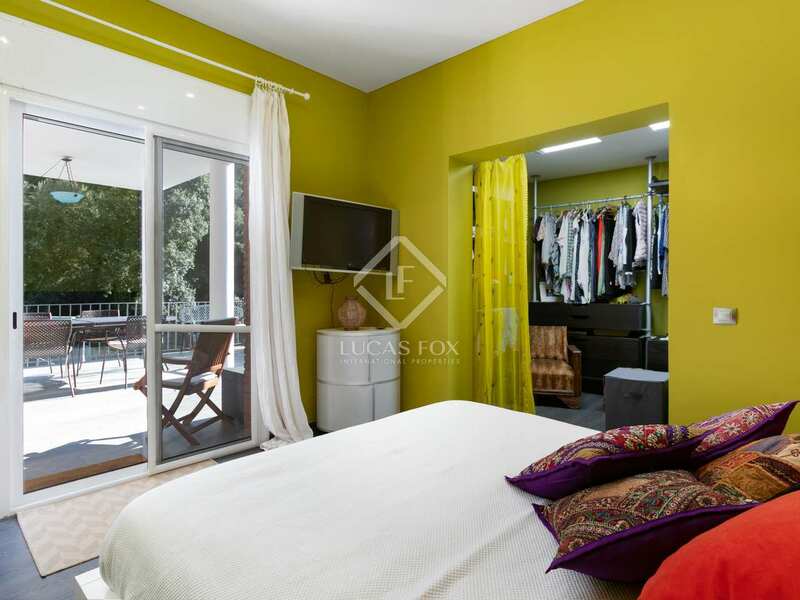 Also on this level are 2 further double bedrooms, both with direct access to the garden, a family bathroom and the laundry room. 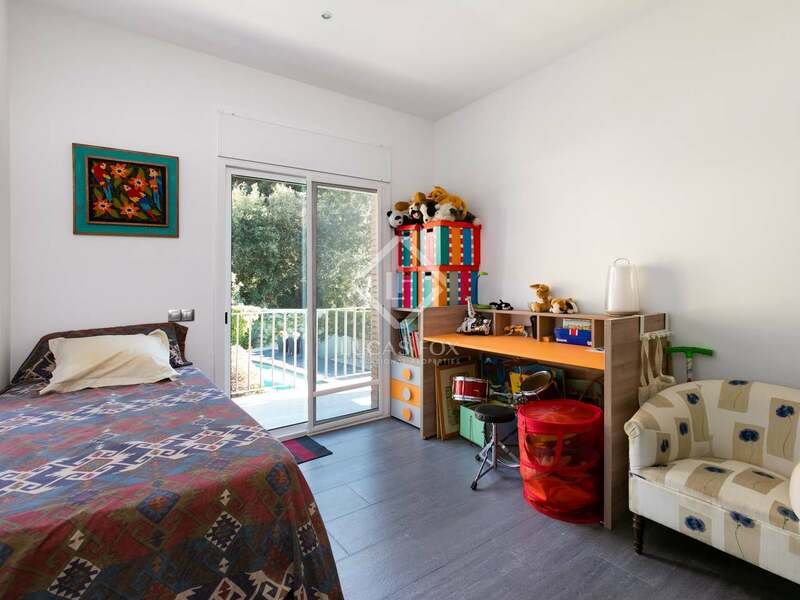 On the top level there is an open study area with doors to a roof terrace with sea views, and a further double bedroom with skylight windows. 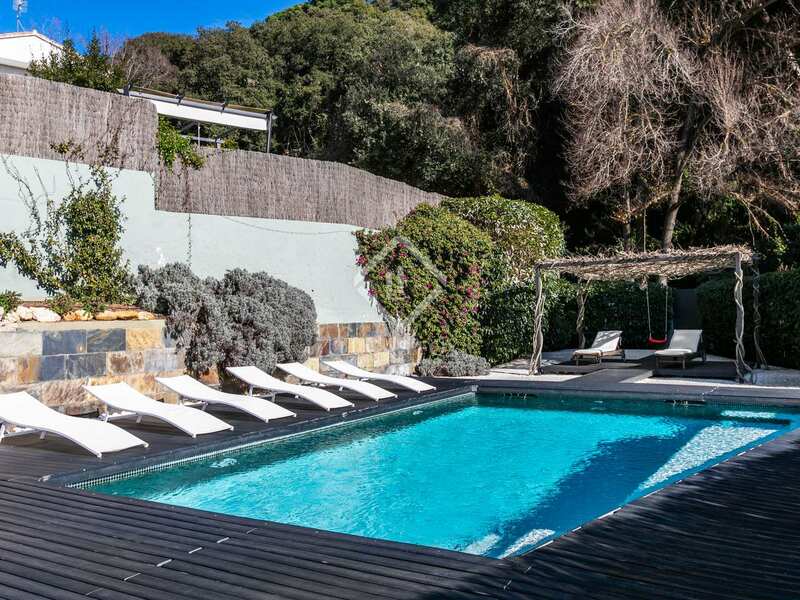 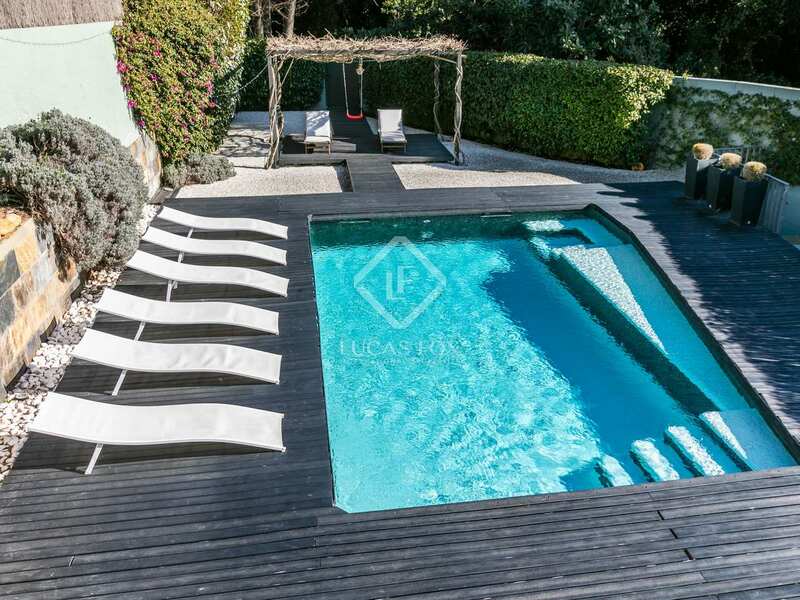 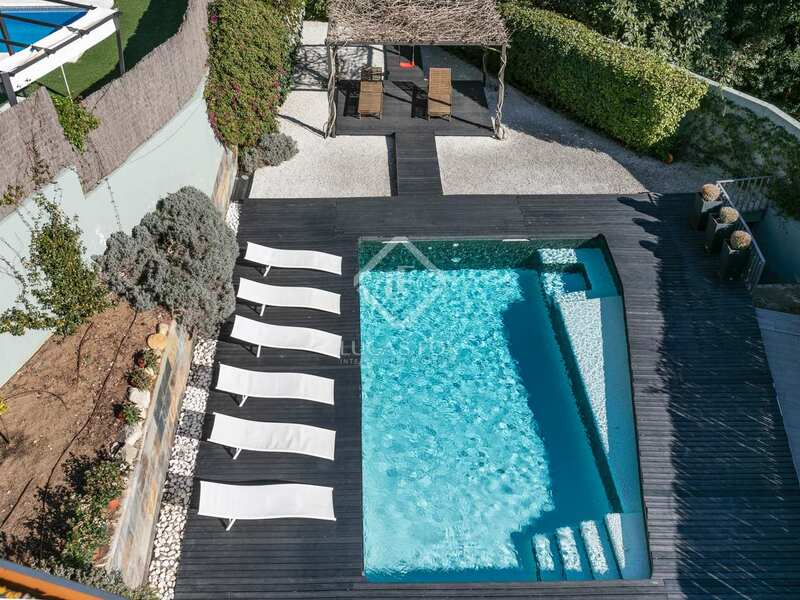 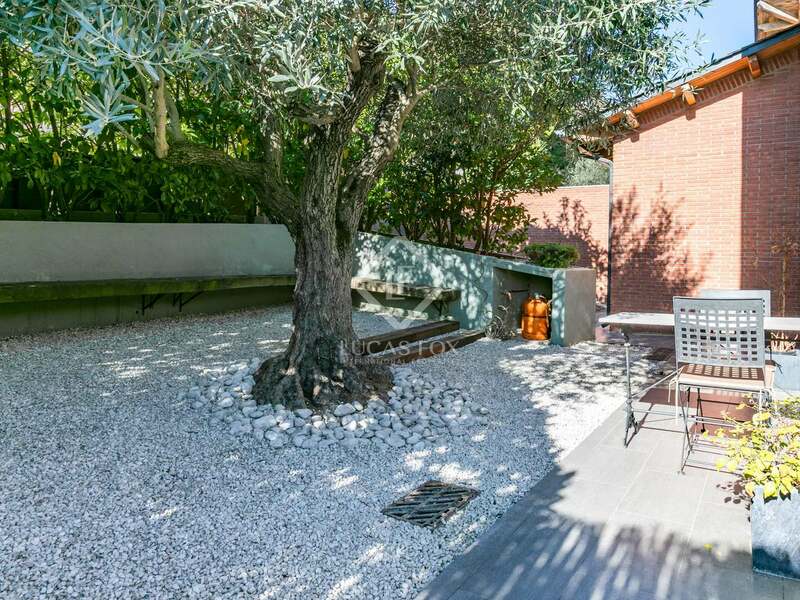 Outside, the garden features a swimming pool with inbuilt jacuzzi, decking and fruit trees. 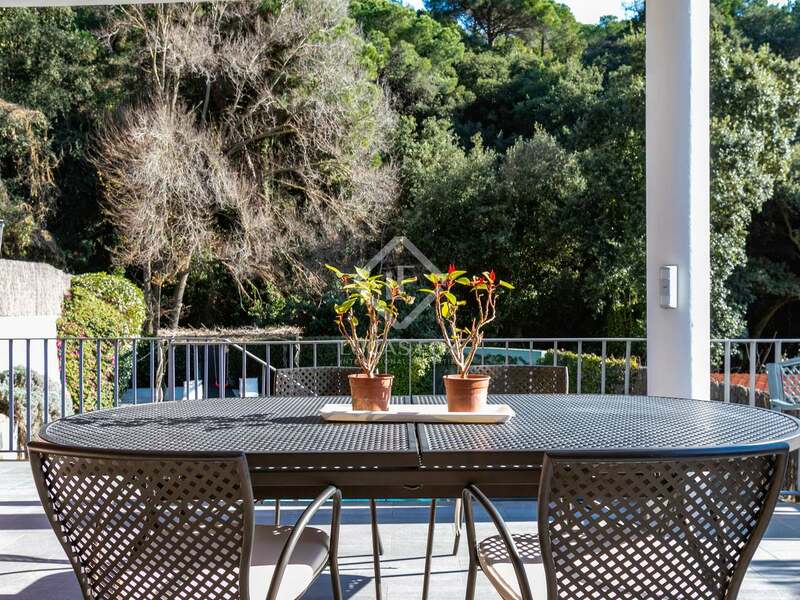 The house overlooks a beautiful woodland and is very peaceful. 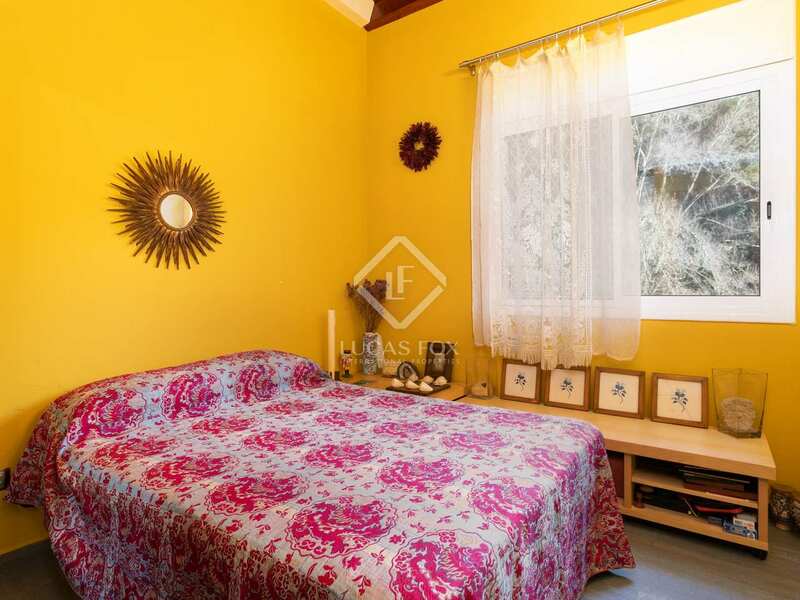 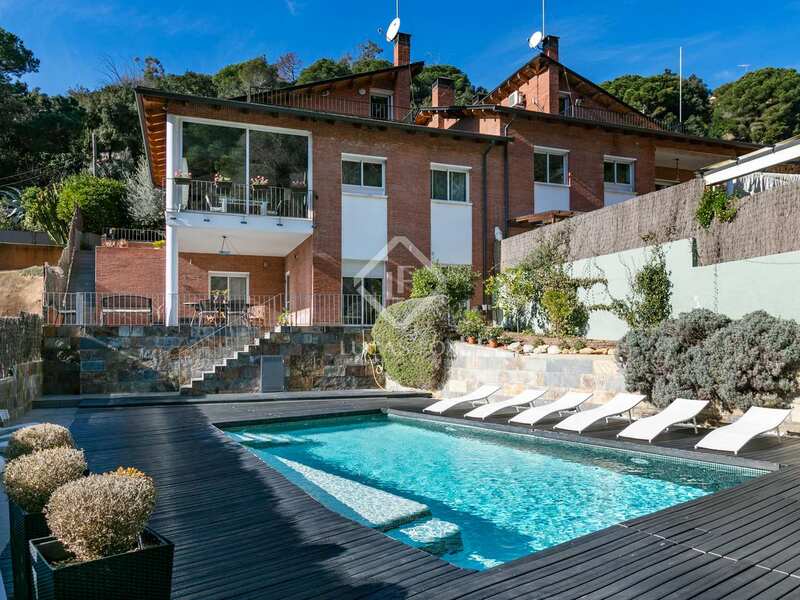 The property is located around 10 mintues by car from St Vicenç de Montalt centre. 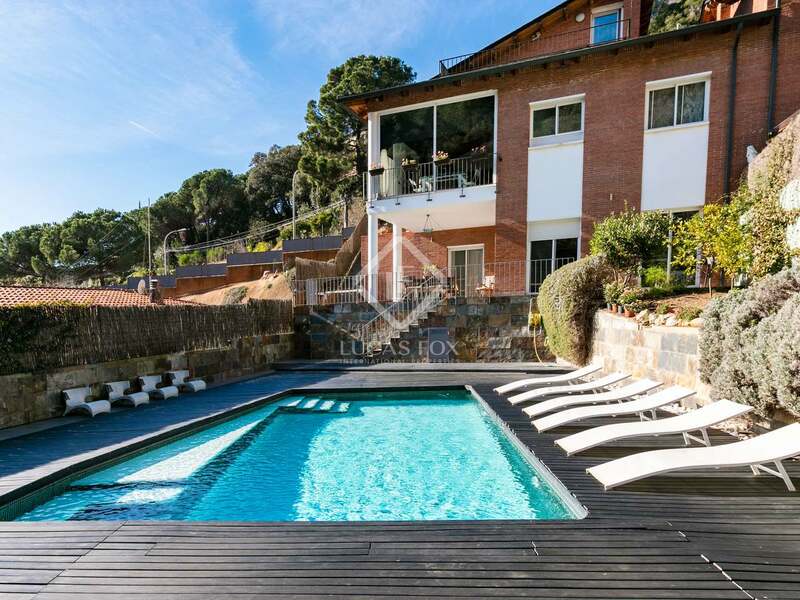 The beautiful wide beach at Caldes de Estrac can be reached in approximately 8 minutes by car. 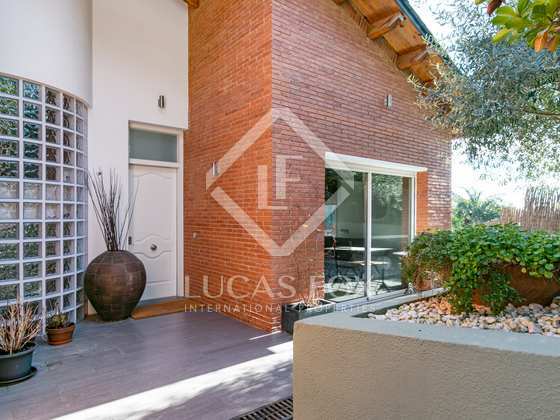 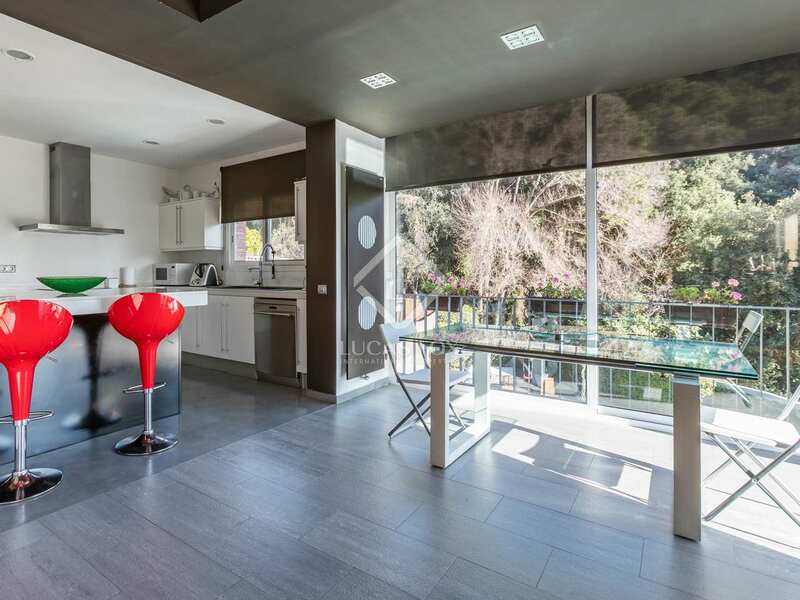 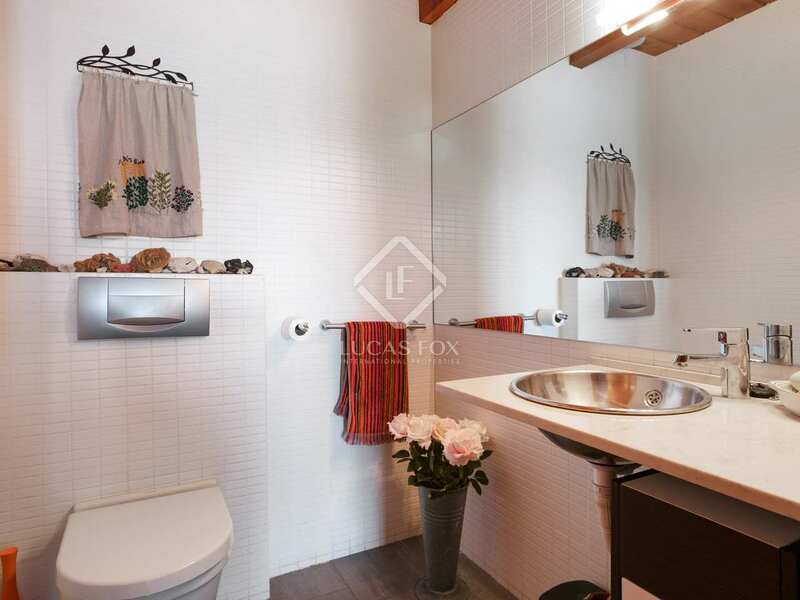 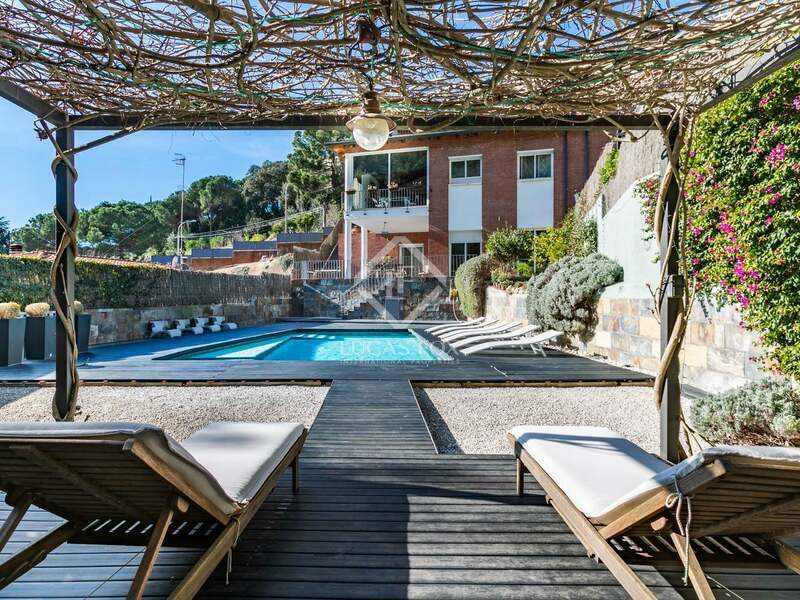 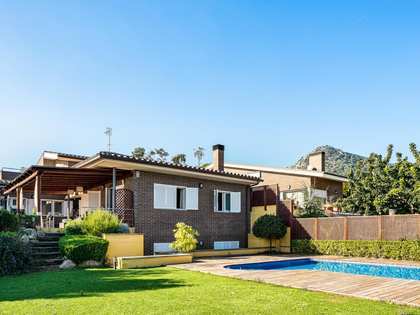 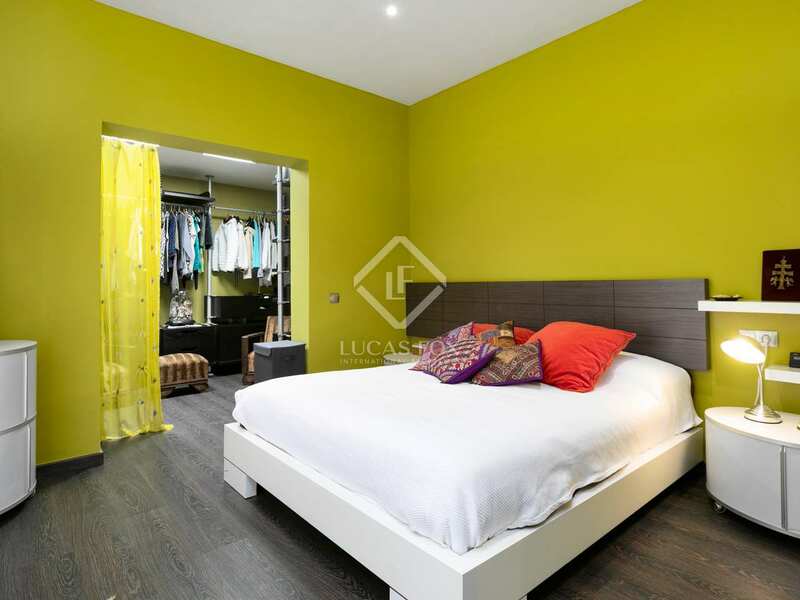 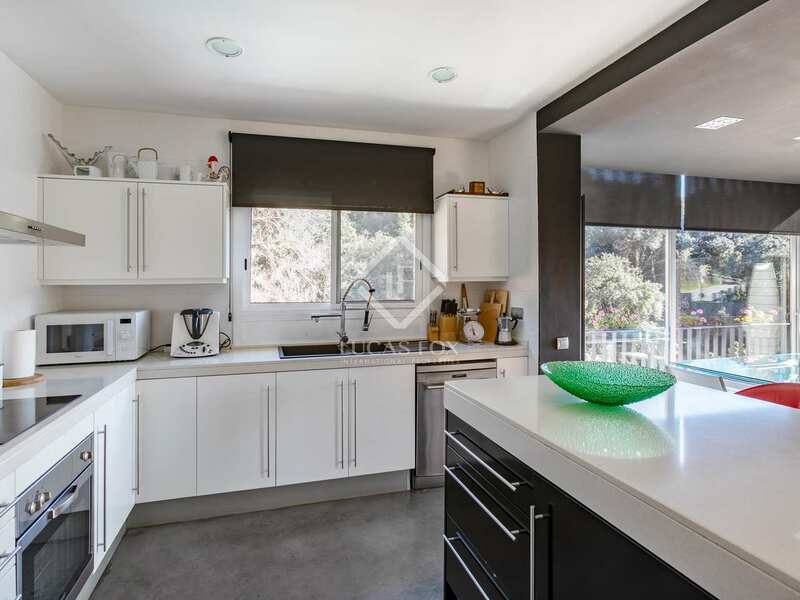 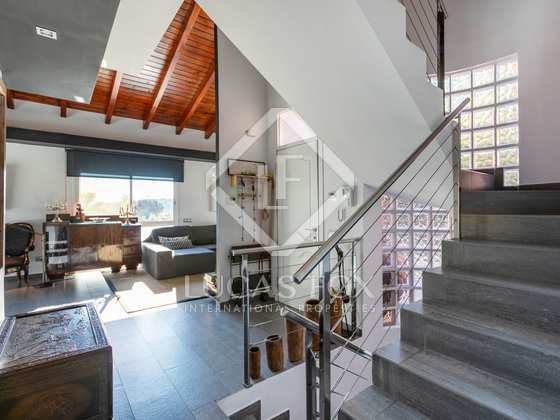 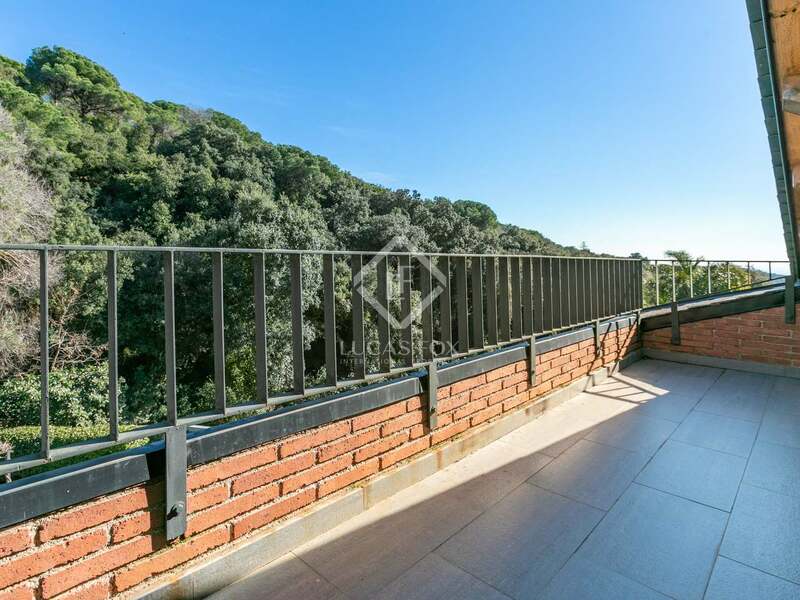 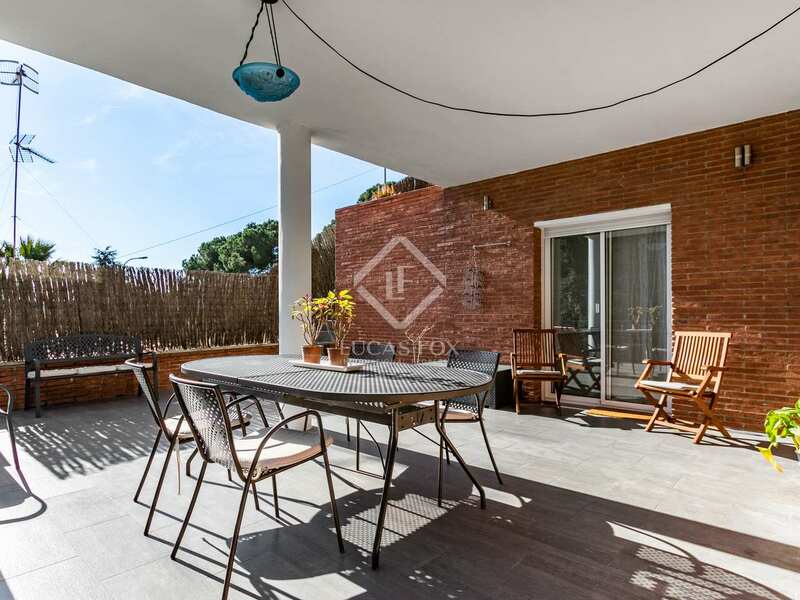 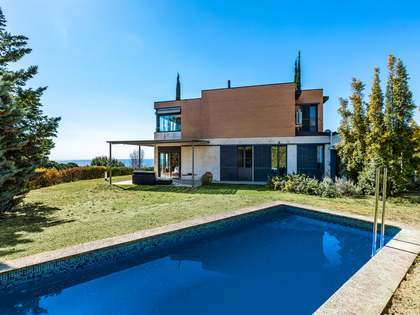 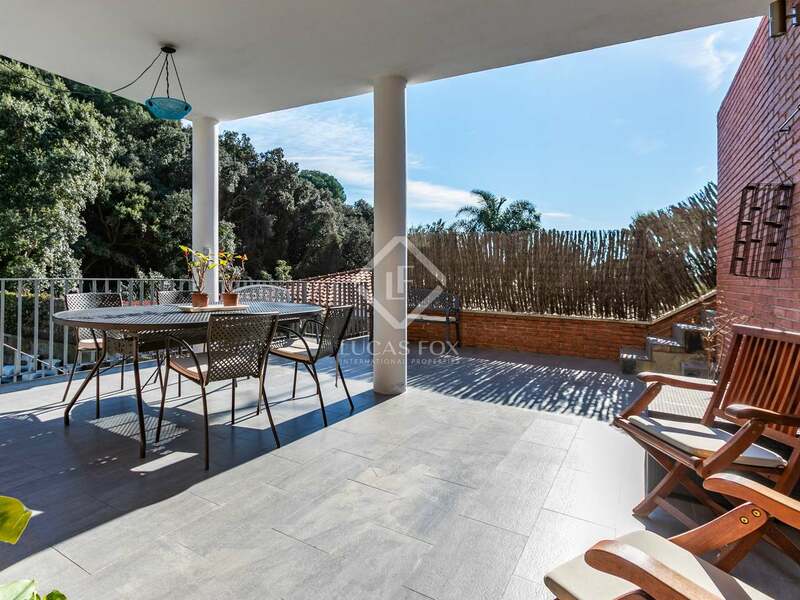 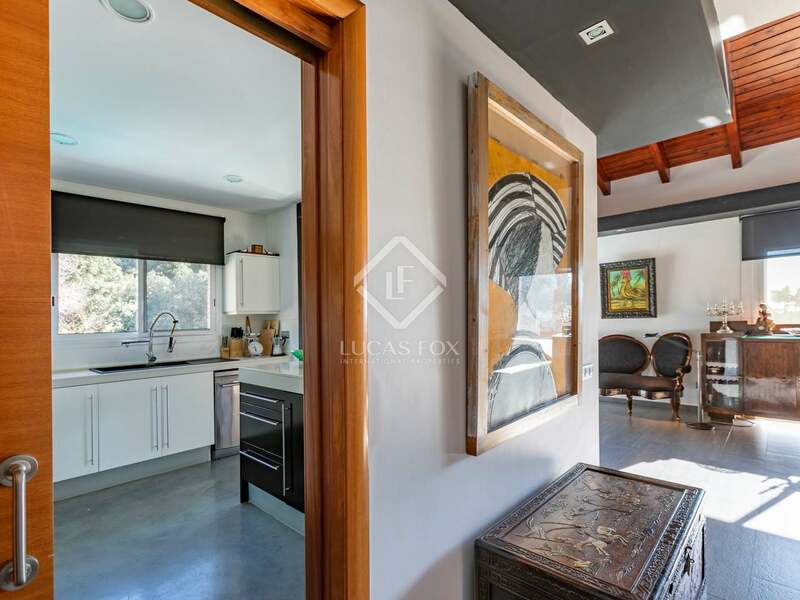 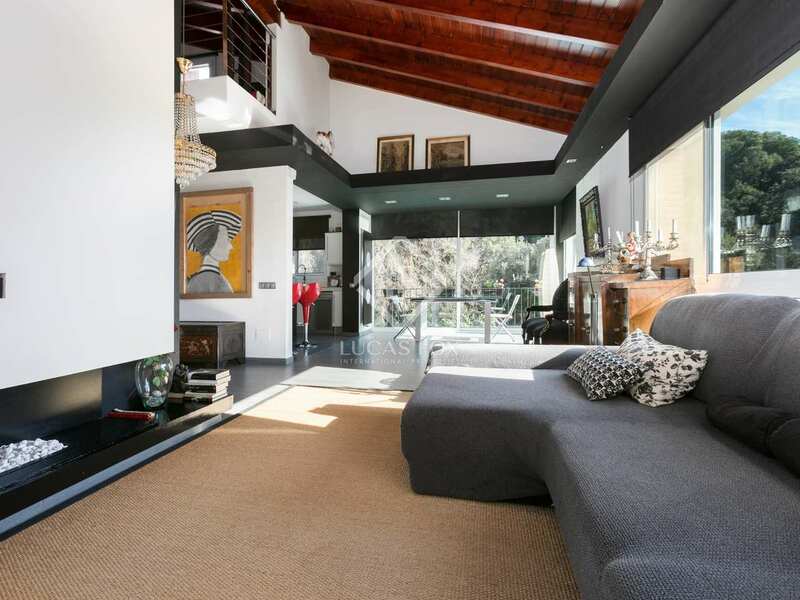 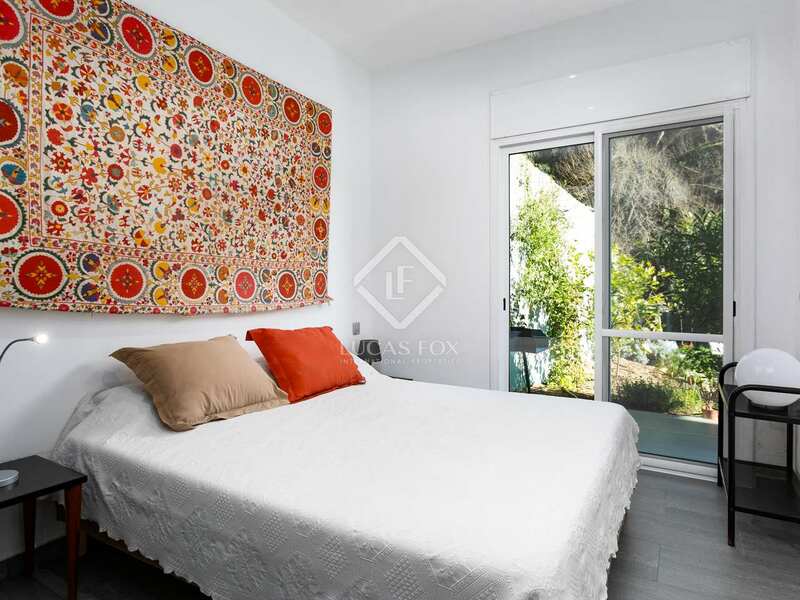 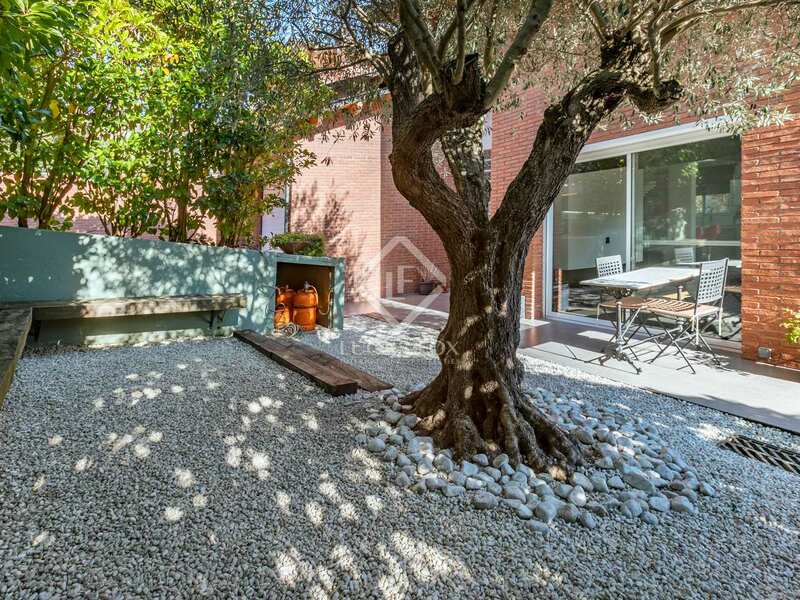 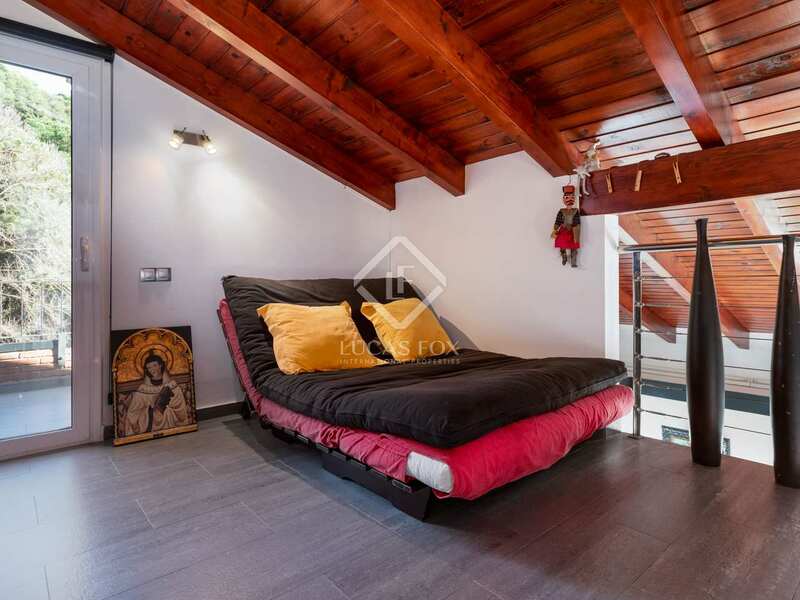 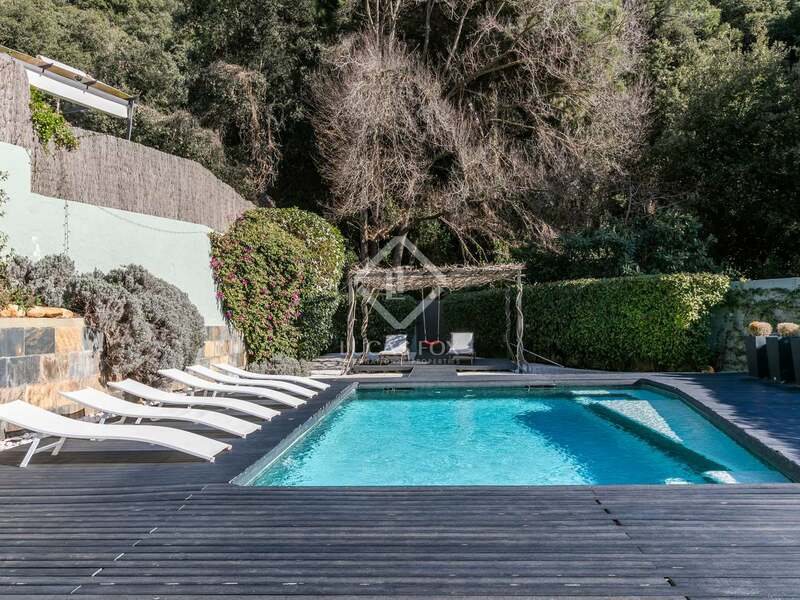 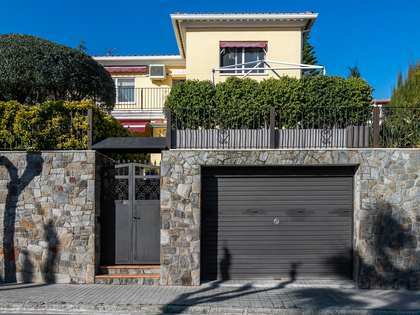 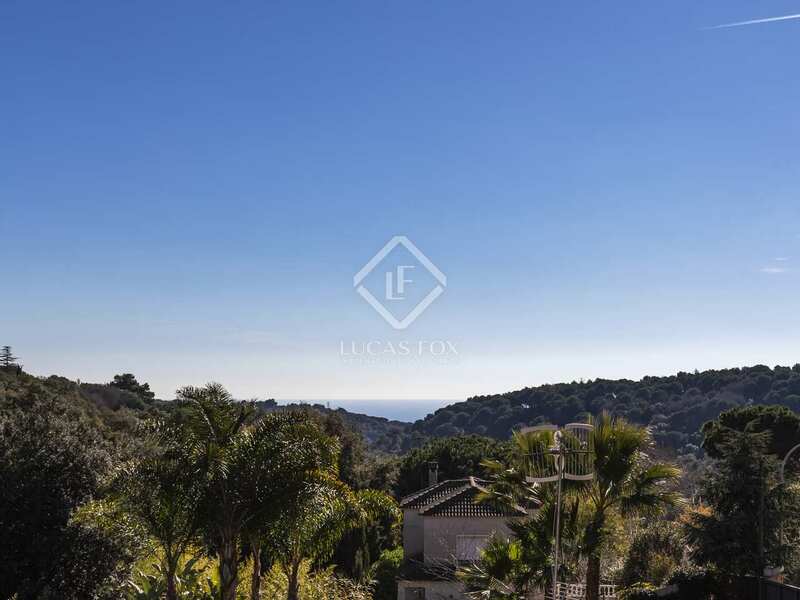 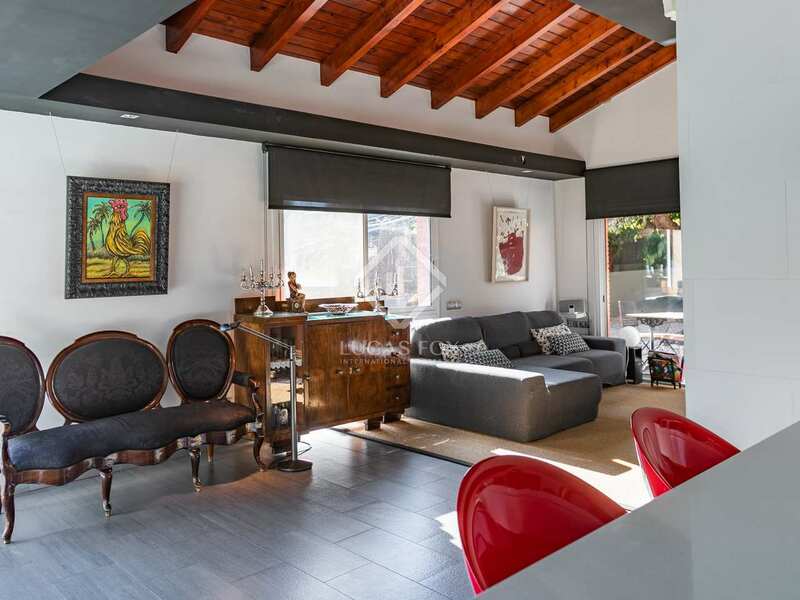 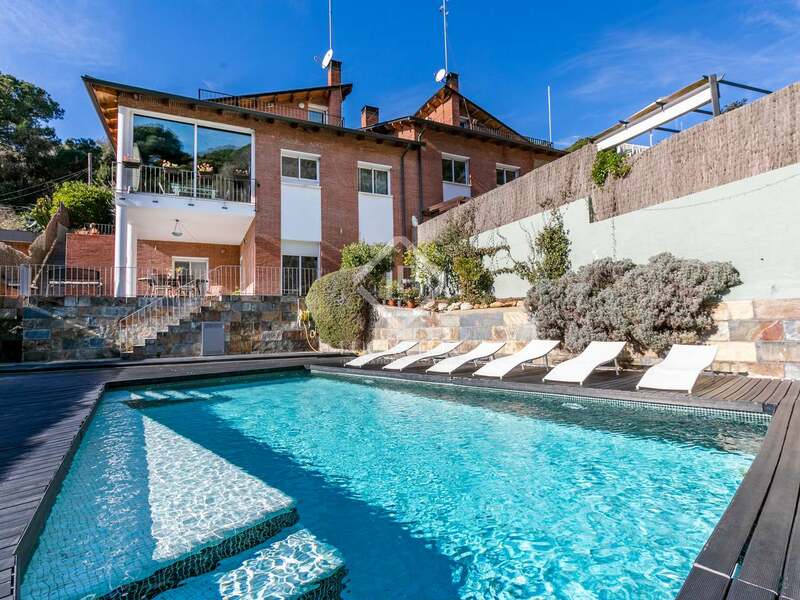 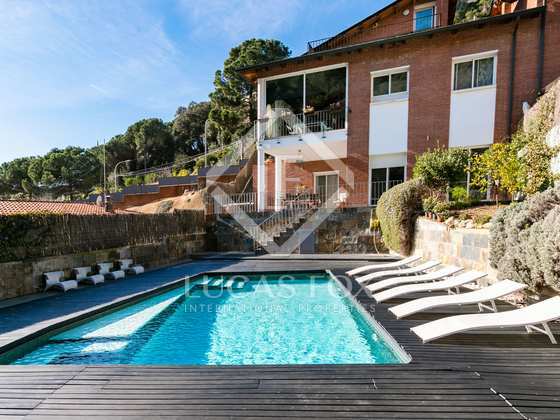 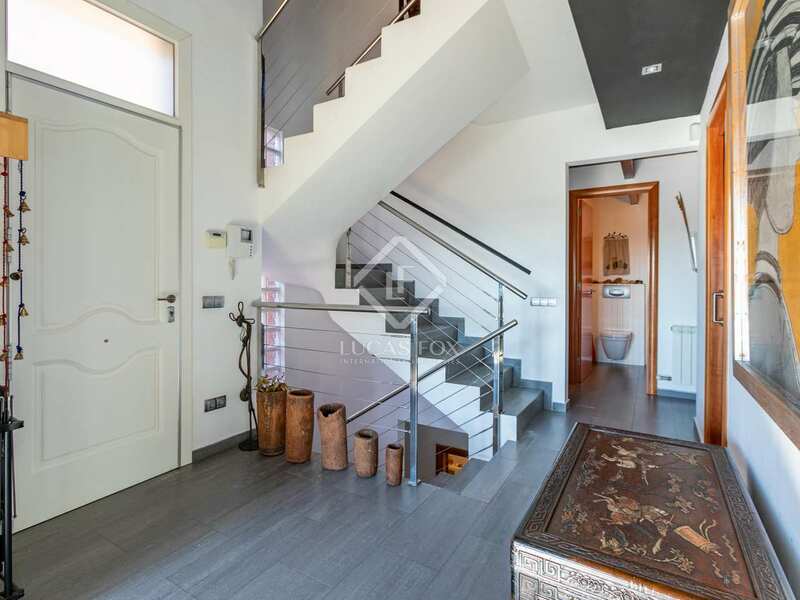 Contact us today to arrange a viewing of this wonderful house in the Maresme area. 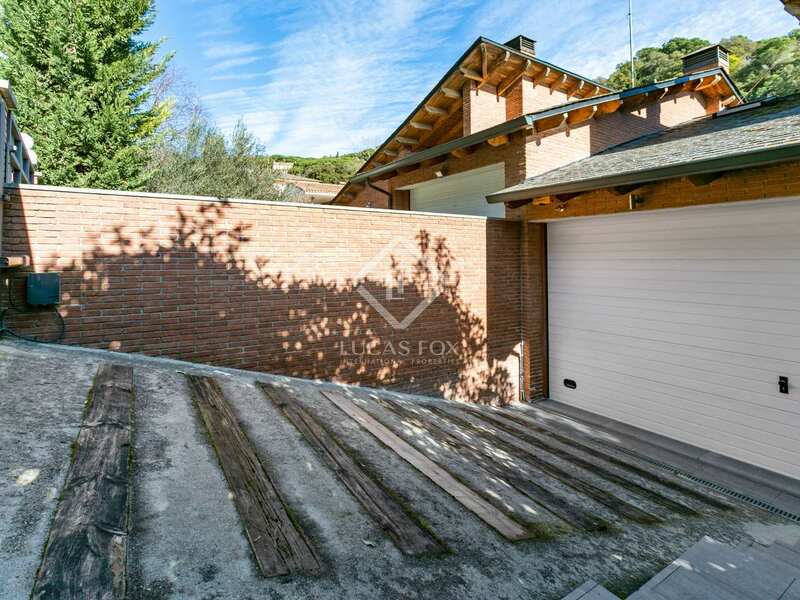 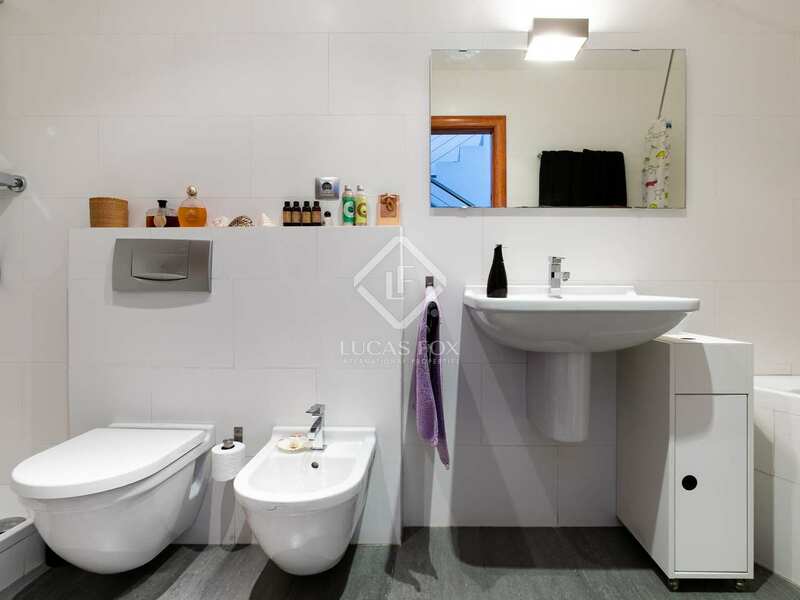 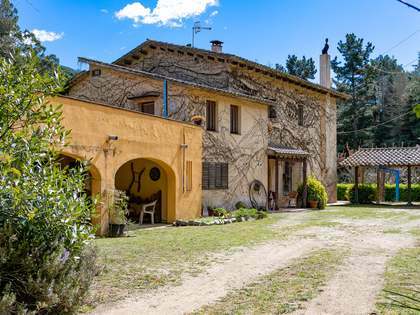 Located in the 3 Turons residential area, the property has direct access by dirt road to Caldes d'Estrac and the motorway exit at St Vicenç de Montalt. 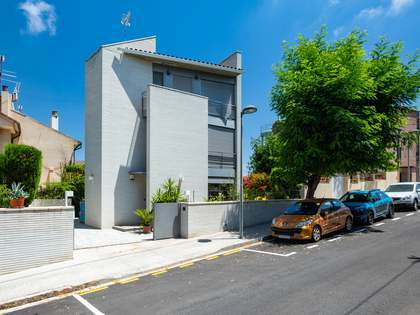 Barcelona can be reached in under 40 minutes by car.